All classes begin in September and end in June. Student enrollment is ongoing throughout the year which means students may enroll at anytime provided there is space available in the class. Tuition is based on a ten month period. Option 1: 10 Monthly Installments – Monthly installments will be deducted automatically from a designated bank account by auto-debit system. Option 2: Biannually – First payment due in September and second payment due in February. An annual $50 registration fee is due at registration ($35 for additional family members). An end-of-the-year performance fee of $75 is due the first week in November for students preballet and up in one class and $95 for students in two or more classes. Fee covers costumes and all performance related costs. No performance fees will be refunded after January 15. Storybook Dance – An end-of-the-year in-studio performance fee of $20 includes commemorative program booklet with picture of student. Parents and family members are invited. Payment is due the first week in February. We are part of the Independent Health Flex Fit and Palladian Health & Wellness Program. 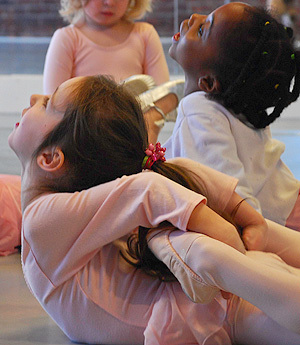 Families can use their allowance towards tuition at our studio. * Number of classes recommended for maximum results in program, but are not required. Individualized schedules can be arranged through Directors.